Salary rates on sponsored projects are subject to the cost principles in the Uniform Administrative Requirements, Cost Principles, and Audit Requirements for Federal Awards (2 CFR 200) – also known as the Uniform Guidance. In addition, federal agencies may have specific requirements. The National Institutes of Health, for example, imposes limits on direct salary on grants and cooperative agreements. Check the National Institutes of Health website for the latest salary cap information. NSF, on the other hand, generally limits the number of summer months of salary a faculty can receive over all NSF-funded projects to two. [For] periods outside the academic year… charges for work performed by faculty members on Federal awards during periods not included in the base salary period will be at a rate not in excess of the IBS." This provision means that a faculty member cannot receive additional compensation for his or her participation in a sponsored project over and above the appropriate portion of the base salary allocated to the project. If, for example, the base salary is $100,000 and a faculty member is assigned 25% to a sponsored project, the salary charged to the project must be $25,000. Changes to a faculty member's appointment so that a greater portion of his or her effort is charged at a higher salary base as a consequence of an externally sponsored project do not meet the requirements of the Uniform Guidance and are not allowed. Consider, for example, a faculty member who has a 50% General Fund appointment under an academic department (at an institutional base salary of $100,000) and a 50% appointment in a research unit (at an institutional base salary of $120,000). If the proposed sponsored activities are to be undertaken within the research unit’s 50% appointment, the higher salary base would be appropriate for charging salary to the sponsored project. However, if the research is to be undertaken by releasing a portion of the General Fund appointment so that the faculty member is now, say, 30% General Fund and 20% funded from sponsored sources, then the additional 20% should be charged to the sponsored project at the lower salary base. The salaries of administrative and clerical staff should normally be treated as indirect costs and not appear in the proposed project budget. The following guidelines are applicable to the direct charging of administrative and clerical support costs on federally sponsored grants and contracts. Large, complex, research programs, such as those conducted by engineering research centers, general clinical research centers, cancer research centers, and other grants and contracts that entail the coordination/management of a team of investigators from a number of units/departments or institutions. Projects involving extensive data collection, entry, surveying, tabulation, cataloging, literature searches, analysis and reporting. Projects that require extensive travel and meeting arrangements for large numbers of participants, such as conferences and seminars. Projects involving the preparation and production of large reports, manuals, books, and monographs (excluding routine progress and technical reports). Projects that are geographically inaccessible to normal departmental administrative services, such as seagoing research vessels, radio astronomy projects, and other research field sites that are remote from campus. 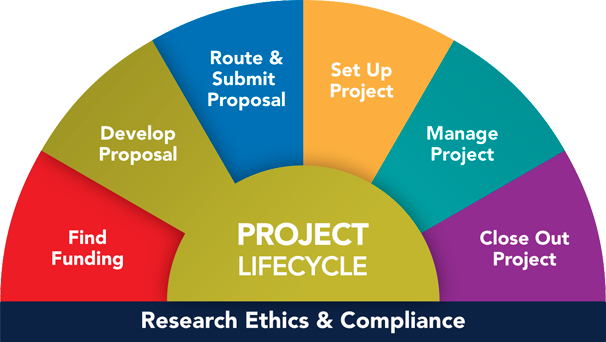 Individual projects requiring project-specific database management; individualized graphics or manuscript preparation; human and animal protocol, IRB preparations and/ or other project-specific regulatory protocols; and project-related coordination and communications among multiple investigators. These administrative costs must be identified specifically with a particular sponsored project and with a relatively easily with a high degree of accuracy. Based on a job title alone, it may be very difficult to determine whether other individuals in the administrative and clerical job series are performing tasks integral and necessary to the project. Therefore, the special circumstances requiring direct charging of the services must be justified in the grant application or contract proposal to the satisfaction of the awarding agency. Agency approval will be assumed if the salary of administrative or clerical staff is budgeted and not specifically denied in the notice of grant award or in related correspondence from the agency to the University. Approval by the funding agency will be deemed to satisfy the federal criteria for direct charging of administrative and clerical salaries to grants and contracts. If a specific justification cannot be clearly stated and documented, these administrative costs should not be included in the proposed budget submitted to the sponsor. If such administrative costs are subsequently disallowed by the sponsor, the equivalent dollars will not be available to the Principal Investigator for re-budgeting.